Living room, dining area, modern kitchen, and double bedroom with en suite bathroom. 3 bedrooms (2 doubles, 1 twin), all with balconies. Family bathroom with Jacuzzi bath. Around the villa is the private pool, sun terrace, and a parking area. 100m down from the villa you will find a wonderful little beach. The living room has sofas, WiFi Internet, Satellite TV, DVD player, dining area and ornamental fire place. There are sea views from the living room. Bedroom 4 is air conditioned with a double bed. If additional beds are required there is 2 sofa beds. Souda Bay View can sleep up to 12 people. Stunning location, staying in a villa that is beautiful. We had a very relaxing holiday with Agni Travel and we will be booking with them again! We loved our stay in your beautiful house! The view was amazing. we walked down to the ocean a couple of Timesâ€™ and really enjoyed the privacy in the little bay. The pool was perfect and all of the 5 kids (age 1-5) really enjoyed it. and we as parents were happy to see the pool was downstairs and that there were a gate giving the kids a bit harder time to try to go there on their own. Again, and overall, we loved our stay at the villa! We add a first class vacation full of joy and discoveries. The views from the front deck of the Souda Bay villa are simply enchanting and even though I have traveled a lot in my life, I have never had a villa with such views on the Mediterranean.. People in Crete are very welcoming, the food is great and so is the wine. An absolute must is the freshly squeezed orange juice. The beaches are extremely nice, with clear waters and good snorkeling from some. The rides in the mountains are superb. Strolling through the old towns is extremely nice and Chanias old town is only fifteen minutes away whilst Rethymnos old town (narrower streets, extremely nice place) is less than one hour and well worth the ride.e Both road to the South (coastal and through mountains) are extremely scenic. 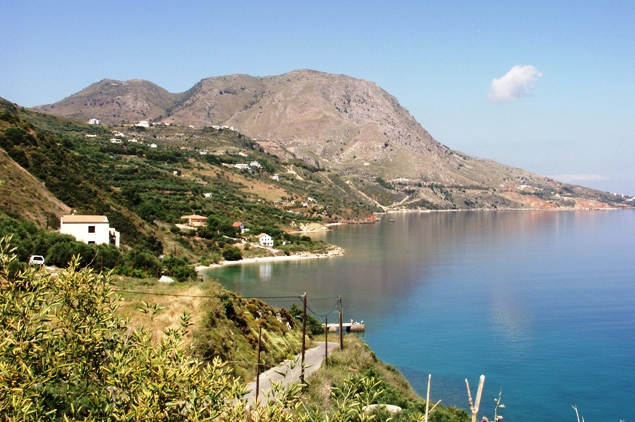 In a nutshell, go to Crete for a great vacation! It is a fantastic villa in a beautiful setting. The pool and villa were cleaned to very high standards throughout our stay. This is the fourth time we have used Agni Travel and would consider doing so again. The location is stunning. Easy to get to from the main road. No noise pollution. The sunsets over Souda bay are amazing. Excellent location stunning views, spacious and tastefully decorated interior of the villa Souda. Apartment recommendable. We had a lovely stay.......And would like to return in the future! We had a very nice stay and the property was wonderful together with the amazing view. It is likely that we will return another time. The service from the Agni Team was perfect. I commend Stratos and his team for their excellent cleaning service. Friendly honest and helpful all the time.It was a comfortable stay. The location is great. Quiet remote but not far from shopping facilities. Agni Travel, I feel provided me with excellent service particularly when I needed urgent information regarding proof of accommodation for the South African contingent. The immediate messaging service on the Agni Travel website and the quick response to our needs was pleasantly and professionally handled. I'm very grateful for Agni Travel professional service no complaint there. I would recommend it to friends. And I would consider returning there at any time of the year. It is a beautiful spot for a quiet getaway. We recently spent 10 nights at this Villa and it more than lived up to our expectations both internally and externally. The location is perfect too. Whilst the Villa enjoys the benefits of being in a private location it is just a short drive to the nearby Village of Kalives which has a large supermarket and a choice of Tavernas shops etc. The Villa itself enjoys spectacular views over Souda Bay especially at sunset. 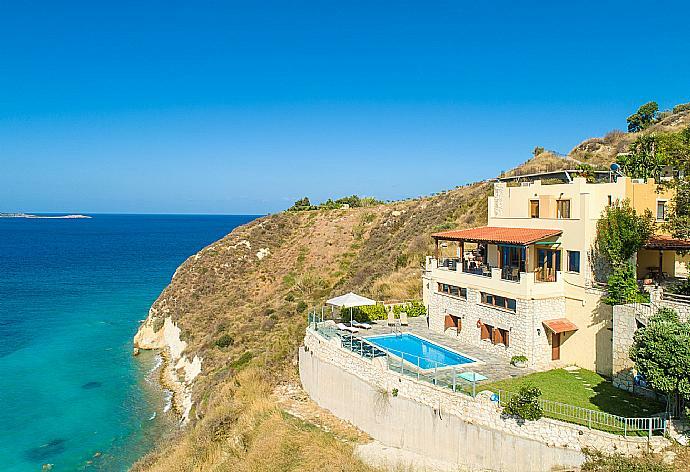 Souda Bay View is a 5* Villa with 5* back-up from both Agni Travel and from their local Agents; Eos Travel. Any request we made was dealt with immediately. We have no hesitation whatsoever in recommending this Villa to others seeking a relaxing holiday. We enjoyed the Villa so much that more than once we changed our exploring plans just to stay in and enjoy the setting. The personal attention by Stratos Maria and Nektaria was very much appreciated but not at all invasive of our privacy. Great holiday, fantastic house and view. A fantastic villa, the views are breathtaking...you never got tired of it. Its very isolated so you really could relax without being disturbed..The villa has plenty of space, even if we were 12 persons it didn't feel crowded. The local taverna had great food and the staff was very polite and helpful. Everyone in my travel company was so satisfied with the holiday and villa and maybe one day we might even return. Fabulous. We all had SUCH a lovely time. The pool was perfect and even the goat track down to our beach was met as a happy challenge by the 2 grannies. The setting was fabulous and we wouldn't hesitate about coming back. We had a great time and would recommend the house and location to anyone. We had a wonderful time. Thanks. Kalami Chania is a delightful traditional hamlet, situated between the ancient Turkish fort of Izeddin and the coastal road to Kalives. Kalami has numerous sandy beaches and pebbly coves. There is also a wonderful kafenion overlooking Souda bay, the perfect place to unwind and enjoy a local drink as the sun goes down. Souda Bay View was booked Yesterday!